H&R Block is a tax management software that allows self-employed users and business owners to file their taxes online from any device. It also provides users with an option to have a tax professional check them prior to submission. 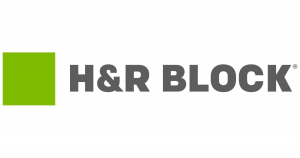 We compiled H&R Block user reviews from around the web and determined that they generally have a mix of positive and negative ratings. We also compared the most popular pricing options available. Users who gave H&R Block a positive review said that the software is straightforward and easy to use. People like that it gives users a guided experience in filing their taxes. They also like that they can access the software online on any device, and even go to an H&R Block office to have the files double-checked by a tax professional. Users who gave H&R Block a negative review said that some of the tax professionals designated to check their files are not competent enough to do so. Some users also reported negligence from H&R Block that led them to pay higher fees in filing their taxes. One user who gave H&R Block a positive review on Best Buy said that the software is easy to use — he cited that its interview format is very helpful in guiding him on how to fill up his tax information. He likes how the plan he purchased supports 5 federal e-files, allowing him to file taxes for his family. One user who left a review of H&R Block on the Better Business Bureau said that he has been using H&R Block for several years already before he experienced employee negligence that cost him to pay double his tax fees on top of penalties. When he consulted an H&R Block representative, he said that the representative did not have enough knowledge to address his concerns. H&R Block has four pricing options for federal tax filing: Free ($0), Deluxe ($49.99), Premium ($69.99), and Self-employed ($94.99). The fees for state-filed taxes are in addition to the cost of federal taxes. The main differences between plans are the tax situations taken into account during e-filing such as mortgage interests and small business expenses. Check out the list below for some of H&R Block’s features. 5 Best Small Business Tax Software Providers 2018 – Tax software helps small businesses prepare and file their tax returns for a fraction of the cost of an EA/CPA. In this article, we discuss the top 5 tax software providers that are ideal for small businesses. Find Your State Tax Website: A Map of All 50 State Tax Agencies – If you’re opening a store, one of your first steps will be to register with the relevant state tax agency. They will help you find out what taxes you are required to charge based on the type of business that you own. We discuss state taxes and how you can find your state tax website in this article. Top 24 Business Tax Saving Tips for 2018 – Reduce your stress during tax season by implementing the top business tax saving tips we share on tax prep, tax deductions, and filing your tax return in this article. Can I pay my tax balance due with a credit card? H&R Block allows you to use credit cards to pay your tax bills. Accepted credit cards are Mastercard, Discover, Visa, and American Express. How can I determine which forms are final and which aren’t? To determine this, go to the H&R Block “Tax Software Update Center.” The “Forms Available” link under “Federal Updates” and under “State Updates” should have a green check once it’s finalized and ready for filing. This video provides an overall background on what H&R Block can do to help you file your taxes easily online. Not sure if H&R Block is the right fit for you? Read our reviews of all top tax software or check out one of these three H&R Block competitors.